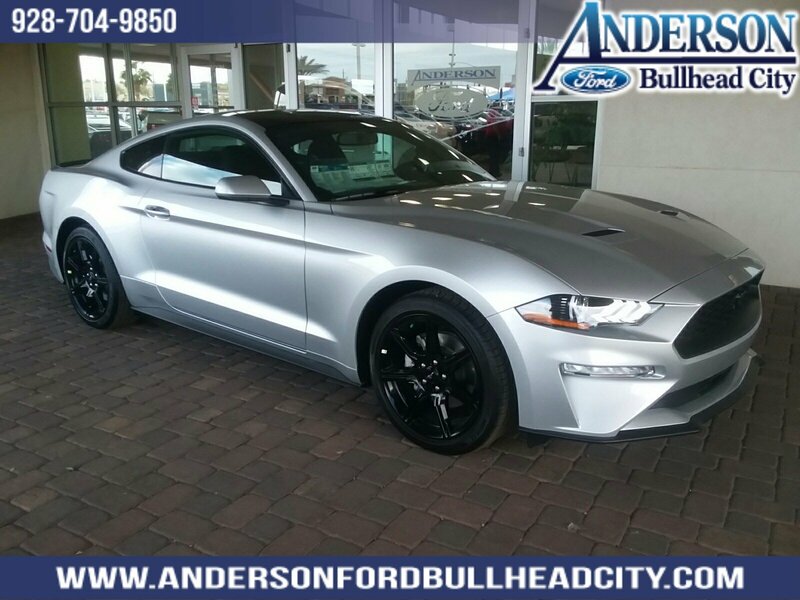 2019 Ford Mustang Mustang EcoBoost, 2D Coupe, EcoBoost 2.3L I4 GTDi DOHC Turbocharged VCT, 10-Speed Automatic, RWD, Ingot Silver, Ebony. 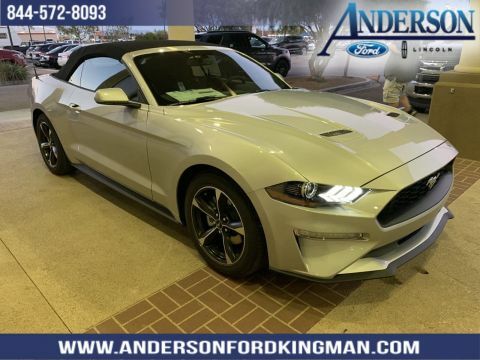 Every new Ford is backed by 36-month/36,000-mile limited vehicle coverage, 5-year/60,000-mile limited powertrain and a corrosion perforation warranty of 60-months/unlimited distance. 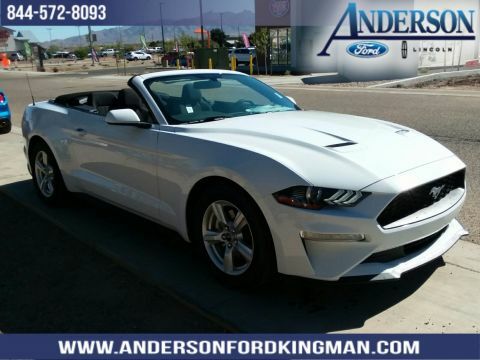 The Ford Powerstroke diesel engine includes a 5-year/100,000-mile limited warranty. 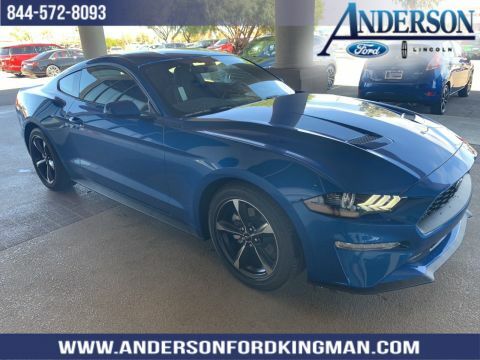 For extra protection, you can also add Ford ESP, for complete warranty information and details contact Anderson Ford of Bullhead City.